Krista McLaughlin - YA Author: T is for Thor and... THE END! Have you seen Thor and did you enjoy it? Seriously, super glad to be done!! How is your Camp NaNo novel coming? And yes, I saw Thor. Loved it. Loved him more in the Avengers, though. In all my years of reading comic books, I have -never- liked the character of Thor, so when I went to see it (I mean, I -had- to go see it..to support the industry and all, ya know) I was surprised at how much I liked it. 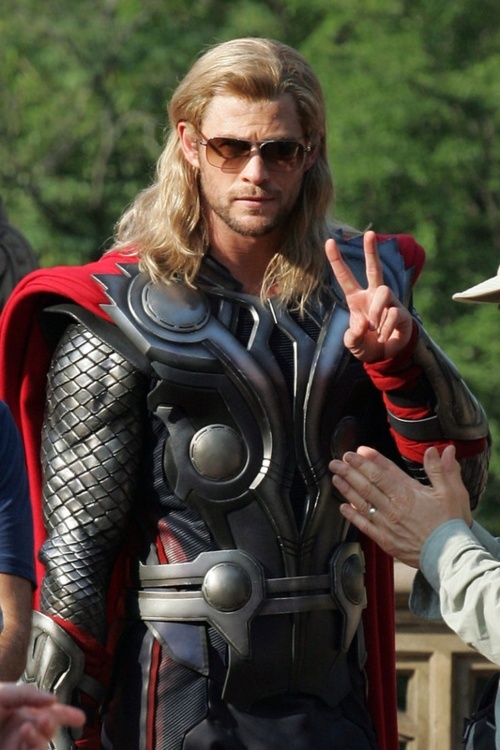 Hemsworth was great in the role and, while I'm sure I don't like him for the same reasons you do (:P), I really enjoyed him in the role of the Thunder God. Congrats on finishing your novel! That's such a wonderful feeling. To be honest, I didn't want to see Thor, but when I did I wondered why the devil I didn't want to see it (probably because Keira Knightley isn't my favorite actress). He is a cutie and with his shirt off. Numms. I liked the Thor comics, but I never counted them among my favorites. I did enjoy the movie though. A lot of fun. Chris Hemsworth is a lovely, lovely man. Plus, he seriously rocks it as Thor. :-) You've got to love him. And congratulations on finishing your Camp NaNo novel! That's amazing! :-) I'm still sitting at the beginning of chapter 19. Must...find...motivation! I loved Thor, and yes he's soo good to look at!